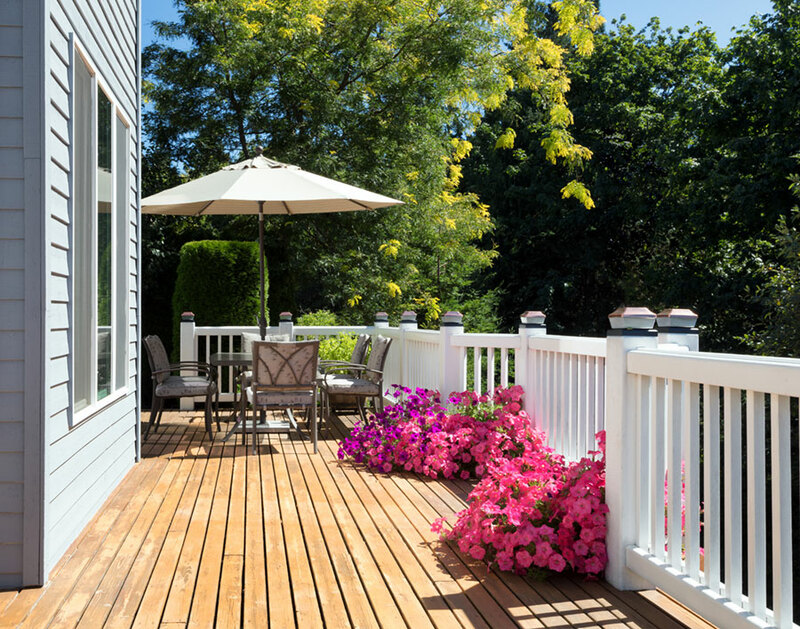 When it comes to making enhancements to a home, there’s nothing quite as beneficial as a new deck. A nice backyard deck not only improves the aesthetic of a home, but the overall performance and functionality of a home as well. Aspen Exterior Company has installed a variety of decks throughout Chicagoland, providing families with beautiful and comfortable areas to cook out, lounge around, and congregate. If you’re thinking about installing a deck in your yard, you should contact the home remodeling professionals at Aspen Exterior today! Whether you’re cooking out on the grill, hanging around the pool, or simply having a good time, a deck can be quite the comfortable place to do so. Installing a deck can transform a barren area into an exceptional hang-out spot. 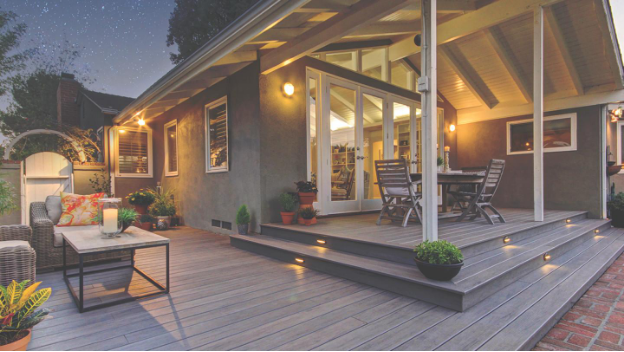 The fact of the matter is that many homebuyers prefer homes with a deck. Because of this, installing a quality deck on your property can vastly increase the resale value of your home. There’s nothing wrong with a traditional, grassy yard. However, a plain, grassy yard doesn’t tend to stand out all that much. This is not the case for yards that have decks. A well-built deck can drastically improve the aesthetic of your yard, helping it stand out among other yards in the neighborhood. In addition to being great hang-out spots, decks are also fantastic storage entities. Not only will you be able to store outdoor items on top of your deck, but underneath it as well. If you’re going to build a deck, you’ll need to choose a material. These days, most decks are built using one of two different types of materials. These materials are natural wood and composite wood. The classic deck material, wood is durable, sturdy, and gorgeous. Capable of being painted or stained any color you choose, it can aesthetically complement any type of home. If you’ve always dreamed of having a picturesque deck in your backyard, wood is a great material to use. There are a variety of different types of woods that can be used for decks, including cedar, pine, mahogany, and much more. Each type of wood offers a slightly different aesthetic, as well as different structural capabilities. Composite wood is made out of a combination of wood particles and plastic, giving it terrific strength and weather-resistance capabilities. This material has been used on decks for a number of years, with fantastic reviews coming from the homeowners that have chosen it. A low-maintenance material, composite is capable thriving through many years of wear and tear. This material has an attractive aesthetic that looks great in almost any yard, and can be matched with any style of home. Available in an array of different colors, there is sure to be one that suits your preferences. AZEK deck is the next generation of decking. Made of stain and scratch resistant cellular PVC, AZEK will transform your very notion of building a deck. Beautiful looks and low maintenance – the best of both worlds. AZEK rail systems are the perfect complement to any deck or porch. Since 1978, Aspen Exterior Company has been one of the premier home exterior remodeling companies in the Chicagoland suburbs. Over the years, we have installed a variety of decks throughout the area. Our seasoned craftsmen offer high-quality services in a friendly, professional, and timely manner. 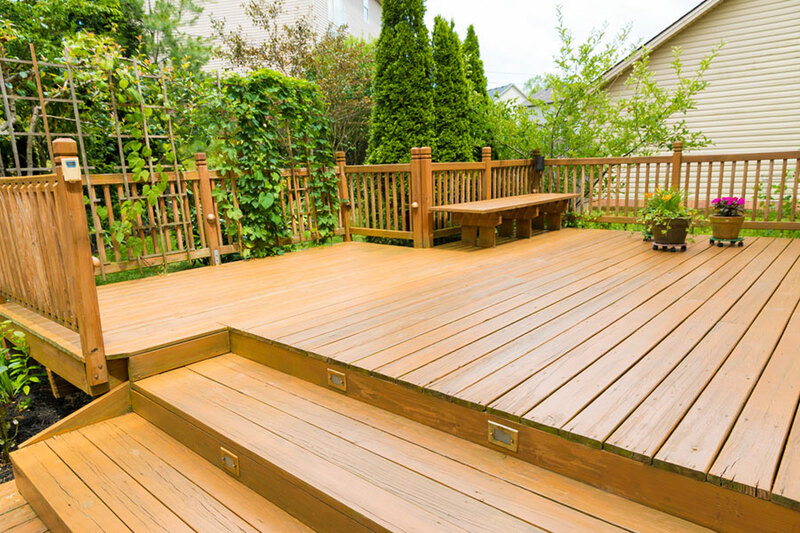 Regardless of the type of deck you’re looking to build, our team will get the job done for you. 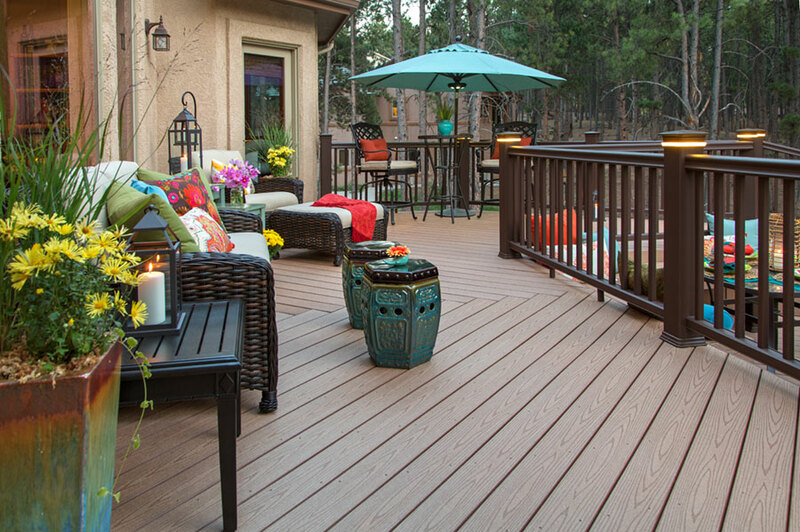 Discuss your deck project by contacting Aspen Exterior at (847) 590-5600!